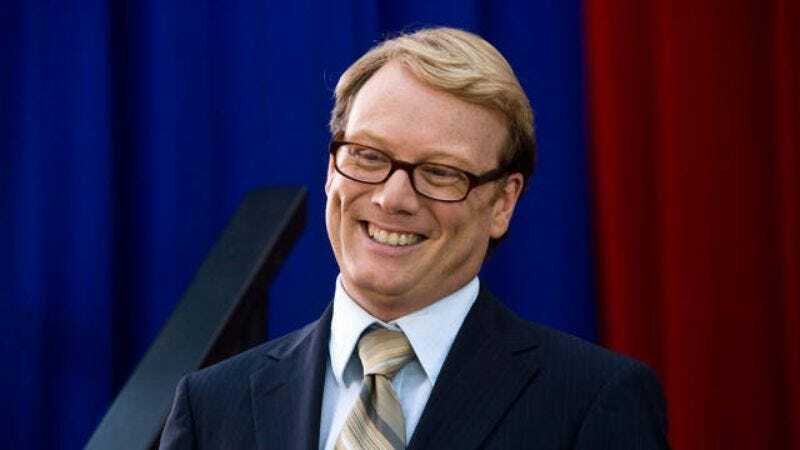 Well, that didn’t take long—when The Hollywood Reporter broke the news that Forrest MacNeil’s life-assessing ways would soon wrap up on Review, it indicated that Andy Daly had been “fielding comedy pilot offers from the broadcast networks.” Naturally, we wondered where Daly would land—would he play the policeman battling supernatural forces with only the help of an elderly nightwatchman on NBC’s Strange Calls, or would he team up with Tina Fey or Michael Schur on one of their shows? The answer is none of the above, as the once voracious pancake-eater has just joined the cast of ABC’s pilot for Chunk & Bean, which is sadly not a Goonies sequel about Chunk opening a restaurant. Instead, the comedy will follow the titular characters and next-door neighbors who strike up an “unlikely friendship” despite having “two very different sets of parents” (good to know they’re not related?). Breaking Bad’s Anna Gunn will play Chunk’s controlling mother Dr. Connie Dawson, “an extremely stern psychologist,” and Daly will play her husband Stuart, whose level of stridency has not yet been made clear. So, if and when the Dawsons get divorced, we can assume it will be on a whim and/or all the blame will be directed at Connie/Gunn. The comedy is based on the lives of series creators Ed Herro and Brian Donovan, who are writing the pilot, as well as executive producing with Dave Hemingson (Don’t Trust The B—— In Apartment 23).